At Lihue Dental our policy is to provide our patients with high-quality dentistry with short wait times that are convenient for you. Hygiene appointments are available on Monday, Tuesday, Wednesday, Thursday, Friday, and select Saturdays. Our highly trained and personable staff are here to help you achieve and maintain your healthy smile in a beautiful environment with people who sincerely care about you. Dr. Eghbarieh, is a skilled dentist, adventurer, and a worldly man who loves to embrace new cultures. He was born in Maryland but grew up in Palestine and received his BDS from Arab American University. After practicing in Israel for many years, he and his wife decided to move back to the United States where he graduated with a DMD from Rutgers University. He specializes in complex dental procedures such as implants, root canals, and oral surgery. 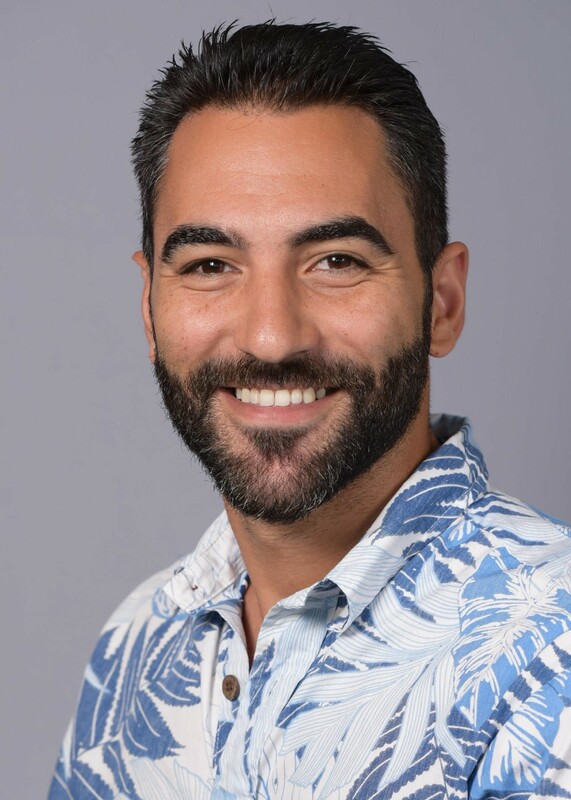 Dr. Eghbarieh plays soccer, volleyball, and enjoys hiking the trails of Kaua’i. A lover of biking and healthy living, he can often be spotted peddling down the Kaumualii on his commute to work. He is a member of the American Dental Association, Hawaii Dental Association, and the Kaua’i Dental Society. Dr. Ameer is committed to providing the best possible care for his patients and strives to deliver state-of-the-art, relationship-based, comprehensive care tailored to the needs and budget of his patients. He fluently speaks Arabic, and Hebrew and is known for his warm smile, kind attitude, and professionalism. Citlalic has a welcoming smile, keen attention to detail, and a “can do” attitude. 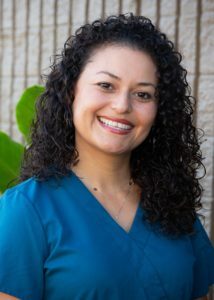 She co mpleted all of the health prerequisites for dental hygiene at Napa Valley College and took that knowledge to master the business side of dentistry. She excels at creating collaborative treatment plans for patients. Her favorite part of her job is when patients see the final results. They’re glowing, she says, it makes a huge difference for them and I love being part of it. Citlalic moved from Napa, California to Kauai in July 2018 with her husband and daughter. Her husband was born and raised on Kauai and when an opportunity presented itself to move back home and they jumped at it. It is a decision they are both thankful for. They enjoy hiking, going to the beach, walking their dogs, and family gatherings. Citlalic is also fluent in Spanish. 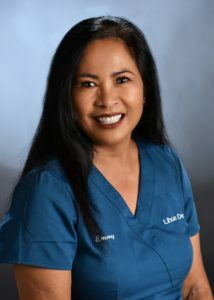 Emi cares deeply for the patients that come to Lihue Dental. She kn ows that for some people visiting the dentist can feel scary so she showers patients with kindness. Emi started working alongside Dr. Allen in 1992, just after Hurricane Iniki. Decades of practicing together have molded them into an efficient, smart team. At this point it’s like we communicate telepathically, laughs Emi. 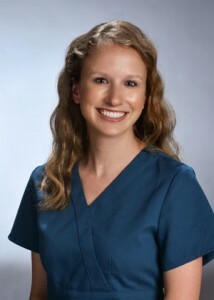 She chooses to work with Dr. Allen because he’s always very kind, honest, and whole-heartedly compassionate. At 12 years old Emi’s family moved from the Philippines to Kauai. She graduated from Kauai High and Kauai Community College. She fluently speaks Filipino, Ilokano, Tagalog, Hawaiian pidgin, and of course English. She loves to be in her garden tending to the orchids, mowing the lawn, or picking fruit from her many fruit trees. Rebecca was barely off the airplane from Michigan when we had the good fortune of recruiting her to Lihue Dental. She may be a recent transplant to Kauai, but she is a seasoned veteran when it comes to dental hygiene. She is known for being respectful, hardworking and willing to help wherever she is needed. She attended Spring Arbor University in Michigan and completed her degree from Lansing Community College. Coming from a progressive dental office, Rebecca is knowledgeable in state-of-the-art dental procedures, working in a paperless office, and has experience with both children and adults. 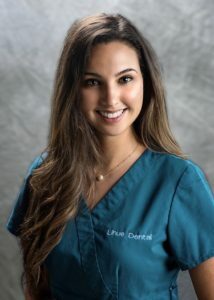 She fits right in with our philosophy of the importance of community service and has an impressive track record volunteering at Care Free Dental Clinic in Lansing, Michigan and at the St. Johns, Michigan, Health Fair. When not working at Lihue Dental, you will find her and her husband swimming at the beach or hiking the Kauai trails with their Australian Shepard dog, Sunny. Molly was raised around dentistry, talk of bicuspids and incisors was considered normal dinner table conversation growing up. Her mom worked as a dental hygienist and when Molly decided to follow in her footsteps no one was surprised. Molly’s attention to detail, love of cleaning, and outgoing personality make her a perfect fit for the field. She graduated with a Bachelors of Applied Science in Dental Hygiene in Washington state. Molly previously lived on Oahu but she’s a country girl at heart so when she visited Kaua’i she instantly felt at home. She plays beach volleyball and soccer a few nights a week and loves anything in the water especially surfing, diving, and fishing. 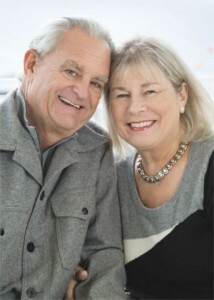 Marilyn Allen, together with husband, Dr. Terry Allen, are the proud co-founders of Lihue Dental. With a Masters of Science in Management, Marilyn brings extensive expertise in organizational development, leadership, communication, and executive coaching. Her methods of successful management have been implemented by organizations such as Boeing and the Starwood Resorts. The Allens are passionate about being on the water and boating. Their relationship began on a small houseboat complete with two pet Peking ducks and a visiting beaver. They have sailed from San Diego to Canada, cruised from Seattle to Glacier Bay Alaska, and circumvented Vancouver Island three times. They’ve lived in Kauai since 1988 and consider their island home to have the best and the warmest waters of all! Marilyn and Terry have been happily married for over 40 years. They have three grown daughters, four granddaughters, and one grandson, all of whom reside in the Seattle area. In 2016 they created the volunteer education program Smile, Laugh and Learn to teach seniors and youth the importance of dental care. Their vision is to end dental disease on Kauai through education and proper health care. The Allens are currently developing a scholarship program for Kauai students hoping to pursue a degree in Dental Hygiene.